This week we get a little wild. Jokers Wild. 2 horror movies to tickle your funny bone? 2 Madmen who roam the halls to stalk and kill. One in a school and one in a mansion. Both equally nuts. Two movies that star a Joker and a funny man. Perhaps you enjoy a little revenge with your pranks in “Slaughter High” (1986) . Maybe you just like watching a horror movie that tries to mix Bugs Bunny and Freddy Krueger together in “Funny Man” (1994). Yeah sounds crazy right? So grab your blunderbus , don't forget your reunion invitation and be sure to grab your deck of cards as we travel Beyond The Void! 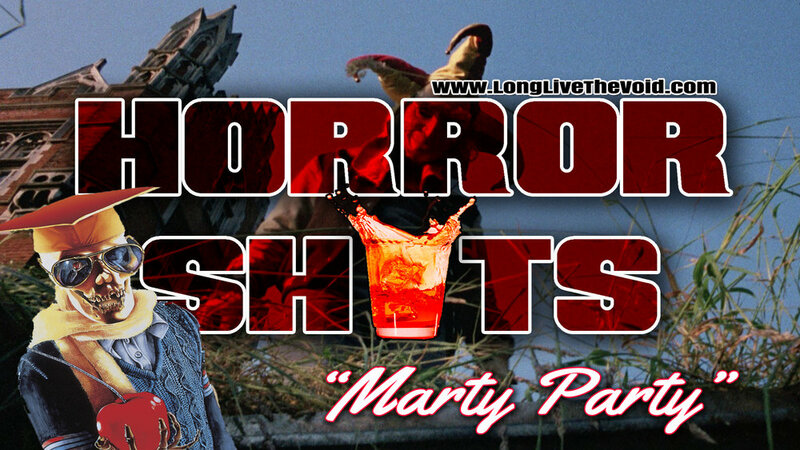 Would you like to take our “Marty Part” #horrorshot from this past Mondays Episode? We honor “Slaughter High” in it! MOVIES WE TALK ABOUT TODAY! Funny Man in "Funny Man"
FOLLOW US on Social Media and more!